Industry sources have warned brands not to rush in and add to the "rainbow logo soup" of Pride without a long-term and authentic inclusivity strategy. Co-opting years of hard-won gay rights to do little more than raise brand awareness or sell a product is a dangerous marketing strategy, experts suggest. Matt Cain, editor-in-chief of Attitude, said: "As most LGBT+ people grow up having to hide who they are before deciding to come out and celebrate their sexuality or identity, what we value more than anything else is authenticity." He added: "We can see through brands who just want to appear to be gay-friendly in order to reap the economic benefits." Brands that jump in too quickly lack authenticity, according to Alex Rückheim, behavioural analyst at insights agency Canvas8. He said the difficulty is that changing dynamics in consumer culture are making it almost impossible for brands not to get involved, but there’s a risk of being too quick. Rückheim explained: "Think of it as being good as opposed to doing good for the sake of appearing good. Yes, people expect brands to be vocal about social issues and we’ve seen that they are willing to spend more on a brand they know is socially conscious. "But political and societal issues have traditionally been the arena of the community, not brands. So if brands are intending to talk to people in these spaces, then the conversations they are holding have to be authentic and truly genuine. If not, people think a brand is just jumping on the bandwagon." Adam Spawton-Rice, content marketing manager at Havas Media who leads Havas’ own Pride event, thinks brands should beware of "simply adding to the rainbow logo soup". But he said there is opportunity for brands to better mix together the community and commercial aspects of Pride: "It’s crass when the marketing is not aligned to the cause. Not only could [these brands] be advocates but they could be contributing to change in parts of the world where rights are lagging behind." Spawton-Rice cited Heineken as an example of a brand willing to have difficult conversations with the recent "Worlds apart" spot. It featured different kinds of people, including a transgender woman, sharing their views. 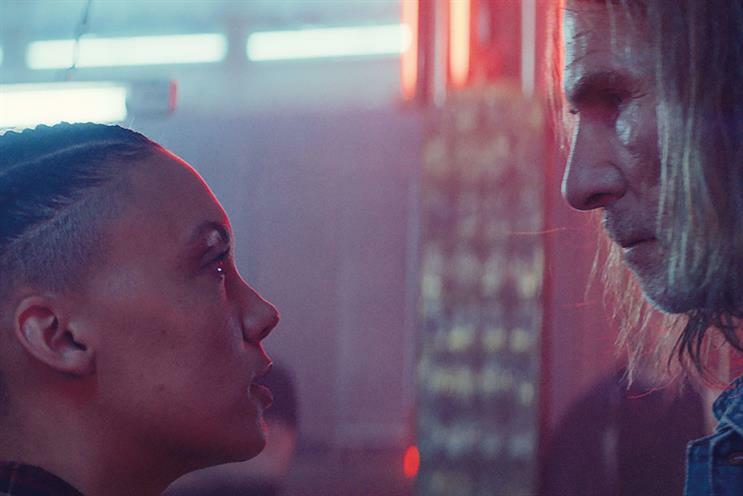 This week, Absolut launched "Equal love", by Bartle Bogle Hegarty, that promotes LGBT+ rights. Gaia Gilardini, Absolut’s global communications director, believes more brands joining in the conversation is a good thing because it involves more people in the discussion. Gilardini argued that while "some of them might not have the right execution", brands do not need to have campaigning heritage to join in: "You should do it because you really believe in it and, as a brand, you have some commitment to try and make a difference. Brands today have a lot of power to drive change." Pride in London, which ends on 9 July, has benefited from a significant increase in commercial investment and, in the past two years, it has doubled in sponsorship income. The event is supported through a mixture of financial partnerships and pro-bono sponsorship agreements. 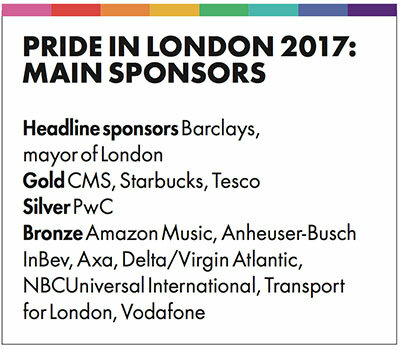 Polly Shute, development and partnerships director at Pride in London, said that far from being a marketing "badging" exercise, most brands that engage with the event do so through LGBT+ staff within their organisations. These individual employees then act as advocates for Pride within their businesses. Shute pointed to the example of Anheuser-Busch InBev: "They do it to show their workforce that you can be yourself and be comfortable." For headline sponsor Barclays, its investment is just "one small part of a large story of diversity and inclusion which they invest in all year round", Shute added. She explained that this year-round approach is key not just to marketing success but to creating an internal business culture that embraces all kinds of people. "I don’t believe these companies are ‘pinkwashing’," Shute said. "I didn’t come out until I was 41 – if there was more support, I might have felt free to be myself earlier."